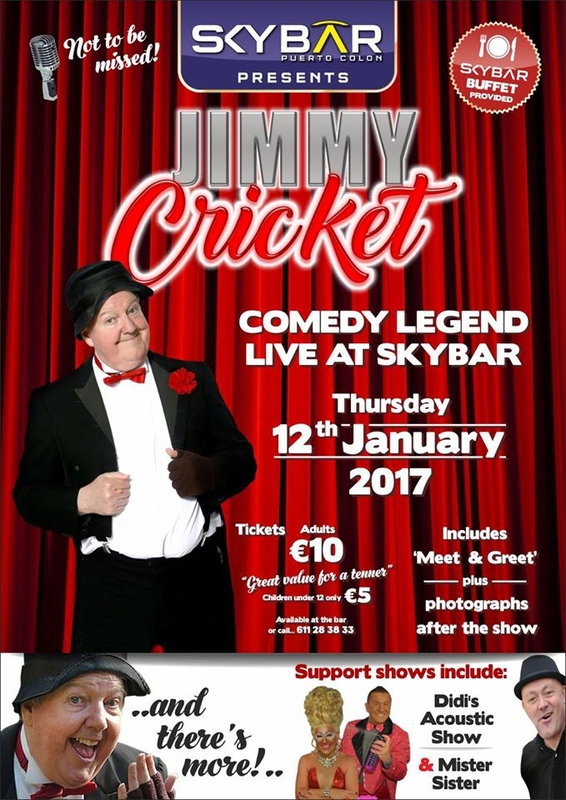 Prepare to laugh your socks off with a live performance from comedy legend Jimmy Cricket at the Sky Bar in Tenerife. Oh there'll be a lorra laights, support acts Mista Sista and Didi's Acoustic show as well as meet and greet and photographs after the show with Mr Cricket himself. All this for a bargian price of 10 Euros, half price for kids, on Thursday 12th January 2017 at the Sky Bar in Puerto Colon.